Behold Folks! Mother’s day is round the corner and it’s time to pamper mothers all over for their unconditional love and affection. In the United States, 12th of May is celebrated as Mother’s Day. On this occasion, companies get the chance to pay tribute to mother’s worldwide with the help of exclusive custom made promotional products. Have you been looking to distribute unique gifts to your employees and clients for this day? 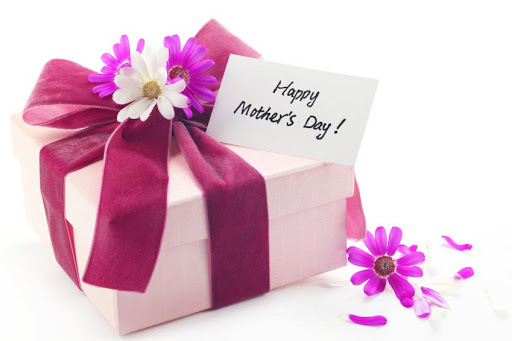 The following can prove as worthy gifting ideas for Mothers Day. Shopping and Grocery Totes: Mother’s all over love to shop till they drop. Most are avid shoppers and the idea of buying apparels and groceries for their family excites them a lot. Shopping totes can surely be used as a perfect promotional product on the occasion of Mother’s Day. Grocery totes and shopping bags are very useful and have a high utility value. Totes are also ideal tools for marketing as your company logo would be clearly visible on them. Armed with a personal message, these cost-effective promotional shopping totes items will serve as great Mother’s Day gifts. Aprons: Be it an adult or a teenager, every child is bound to brag about his/her mother’s cooking. It’s a skill that we have come to admire since our childhood. Making delectable eateries and sweet treats requires passion and hard work. Make their lives easier in the kitchen by gifting special custom made embroidered aprons which would be very useful to them. On major events like Thanksgiving Day and Christmas, the utility of an apron would be highly appreciated. Large cotton made promotional aprons with an adjustable neck strap are reliable items that will have a long lasting value. Kitchens and Cooking are incomplete without Aprons. Opt for them as they have a high brand recall value as well. Special Hand Sanitizers: Promotional Hand Sanitizer Sprays serve a great purpose for Mother’s Day. Mother’s are often the busiest people with the responsibility of the house on their humble shoulders. Supervising house cleaning activities on a daily basis often leaves their hands with traces of dirt. This is where cleverly designed hand sanitizer pump strays come into play. These cleansing sprays are portable enough and can safely replace the need to wash your hands with soap or water. You don’t need either of them, just spray it or rub your hands off any dirt. There cannot be a more meaningful Mother’s Day Gift than this one. Mother’s day is a special occasion indeed and gifting these products will truly make them feel special in every single way. In the end, it’s all about showing that we “care for them”.